I have a G2 and it has 72MB used memory and 1.2 GB of availalbe memory. where did not 2.something GB went? click, 17 Apr 2013i charged my phone till morning and till 78% i switched it off and till date i cant turn the p... moreTry daunting the charger or maybe the battery reached its life span, specially if it says its a 78% but it dies fast. Anonymous, 15 Apr 2013where can i get an LCD replacement and a cable Amazon.com, I just got one myself for mine. Broke when I landed on the phone while playing soccer. And learned how to replace it on you tube tutorials. marsy, 24 Apr 2013how do i set the 3G network on my G2?Settings, wireless & networks, mobil networks, clear the check mark on "use 2g networks only" field. But if it is un unlocked phone bad news you can't make it connect to 3g networks, lets just say its one of the down sides of buying unlocked phones! But not ask the phones have this problem. A rep from htc told me when a cslled them. marsy, 24 Apr 2013how do i set the 3G network on my G2?Its a nicely designed phone "my opinion" but it lacks in performance and hardware what it exceeds in design. I bought an unlocked and had bad luck getting a good one it was not new had ask kinds of issues, track pad, faulty keyboard (qwerty), kept shutting down by itself. Great video and picture resolution though, the processor its fast when it works, has other features that sort of make up got its short comings like swype. Then I bought one from my carrier and this one too has issues, returned it three times because of defects this last one is not a perfect one but having to pay a $20.00 deductible every time I return I just gave up and kept it. It is a tough phone the frame I mean. Anonymous, 18 Apr 2013Htc g2 and Samsung sidekick 4g. which is the best?I had the sidekick & hated it . It has factory issues . I get the g2 Tuesday . I tried to take a photo in the mid night but the flash light couldn't appear..why? 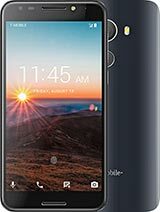 how do i set the 3G network on my G2? Htc g2 and Samsung sidekick 4g. which is the best? kingsidy, 19 Feb 2013i got my G2 and it wont turn on again.it went total drain in power on again.have try many opti... moretake battery out and then put it back in and turn power on. having problem with the screen cord. can it be changed? Had this phone as a upgrade had for about a year. Was a nice phone I think it was tmobile's first 4g phone. I keep waiting for gingerbread to come out. It was funny I finally got the update when I was selling the phone to someone else. It was a blast to use. I really liked stock android back then. I think that was the reason I decided to buy a nexus one at one point too. I think I may get one again because they are so cheap right now. Yeah... All is true about the phone, check it's google play to get amazed! I for one would really like to see a G3. I miss hardware qwerty. and download Android 2.3 Gingerbread there.